The Importance of Dust Control for Your Business | Ace Uniform Services, Inc.
To help ensure that your workplace is looking its best and dust free there are several steps you can take to help improve dust control and prevention. Regardless of what industry you work in, first impressions are everything. In businesses that require high standards of cleanliness and sanitation, this need for a clean and controlled first impression is even more critical. Along with improving general hygiene, having a clean and dust-free workplace improves productivity, workplace happiness, and overall health. 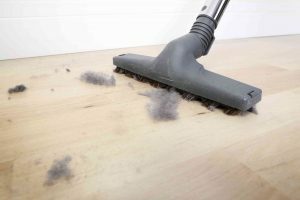 To help ensure that your workplace is looking its best and dust free there are several steps you can take to help improve dust removal and prevention. One of the first steps to helping prevent the adverse health effects and the spread of dust is to ensure that you have a well maintained and effective air filtration system. Ensuring that there are adequate air filters and that they are changed regularly can remove dust that might pass through and ensure that the air smells clean and fresh. This will keep cleaning more manageable and keep your building far more pleasant. Adding odor control systems can be another significant step, but make sure that you’re considering the potential for allergies and scent adverse visitors and employees. When possible, making the switch to touch-free hand washing and sanitation systems is an excellent step towards overall sanitation. If you switch to hand dryers as opposed to towels, you may also decrease the amount of residual lint and dust that paper products can make while reducing your waste as well. Making a switch to microfiber mops and cleaning cloths offer a host of benefits. To start, they trap dust and dirt far more effectively and allow for faster and more effective cleanup when compared to paper and cotton cleaning materials. Microfiber has the added benefit of reducing the potential for cross-contamination and can help reduce the use of both water and cleaning chemicals making them more efficient. Most of the dust and dirt that enters your building comes from outside sources, almost always on the shoes of those entering. By adding effective dust and floor mats, you can reduce the amount of dirt and dust that make their way deeper into your facility. This entry was posted on Friday, February 8th, 2019	at 3:22 pm	. You can follow any responses to this entry through the RSS 2.0	feed. Both comments and pings are currently closed.